The town hall in Zaanstad consists of a series of 'houses': a serie of separate buildings, but is in reality one modern office complex. 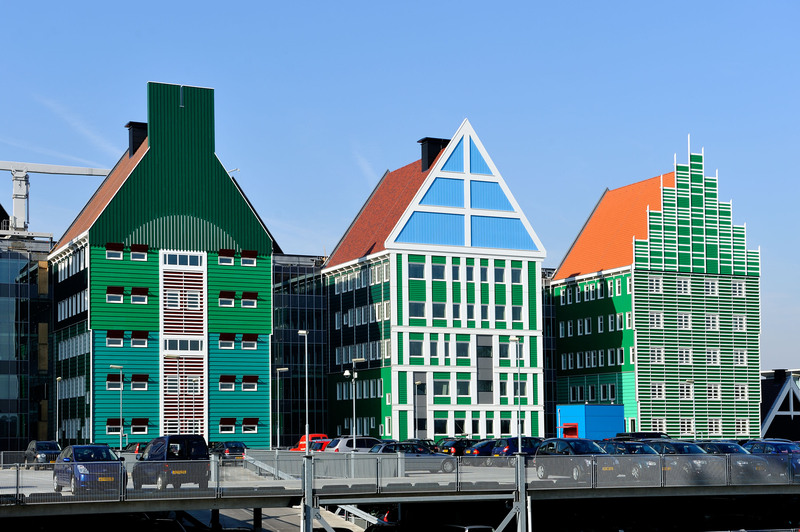 The houses refer to Zaanse building styles in various ways, including material use and colour. The houses are standing on poles, so that the underlying bus station is easily accessible to the buses. 12,000m2 façade parts have been mounted with IPEX sidewall screws for this project. 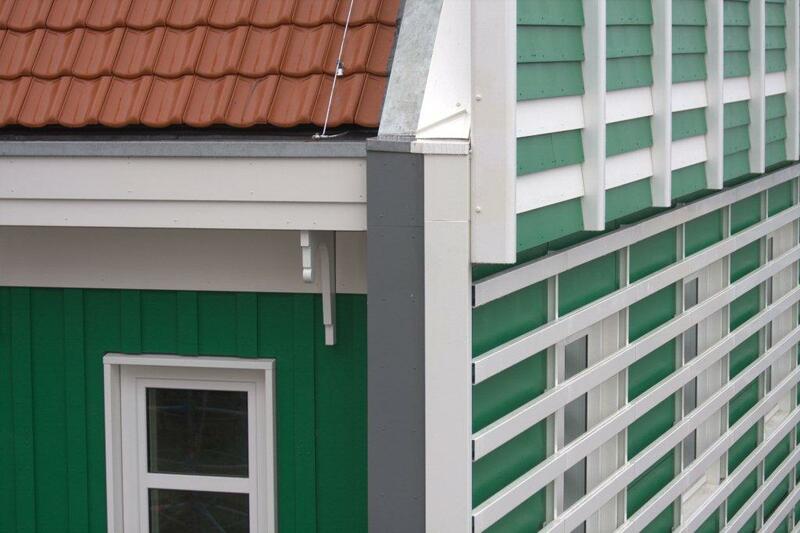 The screws were green powder coated by IPEX in 16 different colours to support the colourful whole.